We all live with the idea that bad things always happen to other people. If we didn’t we would never go out, cross a road or fall in love just in case………. Most of the time we are right but sometimes just coming home from school can put you in the wrong place at the wrong time. It did for Lena. She was taken. Casey Kelleher delivers a story that involves three very different people and all are emotionally controlled by someone else. Their lives are destined to cross. Each have a very different emotional journey and although Lena’s story was very tragic I felt myself drawn to Colin’s story the most. To me I really felt sorry for him that may seem funny to a lot of readers when you have finished this book, but I did. Casey Kelleher really delves deep into how depraved some people can be or is it mental illness? is there really a difference? because what she describes really does break your heart at times. This is a really well written novel that has a constant fast pace through out. You are easily lead into situations that you can see coming a mile away but you just don’t know how they are going to end. A stunning novel. Awesome. 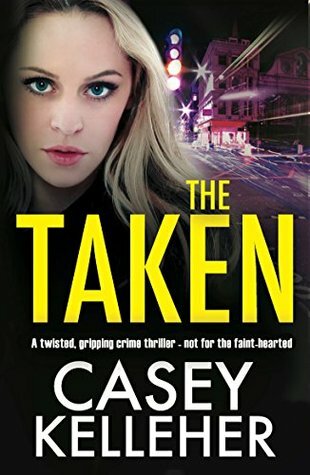 I wish to thank Netgalley and Bookouture for allowing me to read this book in exchange for an honest review. Casey Kelleher was born in Cuckfield, West Sussex. Growing up she became an avid reader, loving in particular gritty crime thrillers and gangland books.